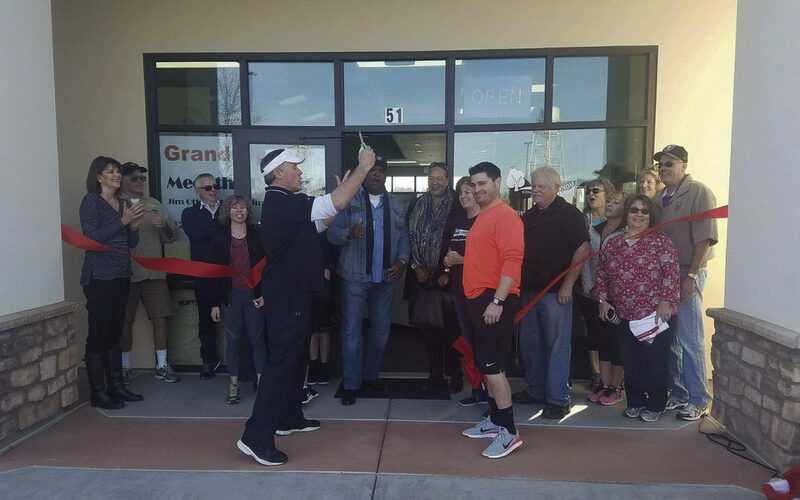 A ribbon cutting was held on December 9 to celebrate the grand opening of Mueller’s Elite Athletic Training Academy, owned by Vance Mueller of Amador County, a professional athlete and trainer. Mueller earned a degree in Kinesiology from Occidental College, was a Los Angeles Raiders football player and has received All American Honors eight times. Joe Shanley of Calaveras County is a certified personal trainer with the National Academy of Sports Performance and studied Kinesiology at Sonoma State where he also played soccer and baseball. Both men are committed to fitness and helping individuals empower themselves to meet their fitness goals. 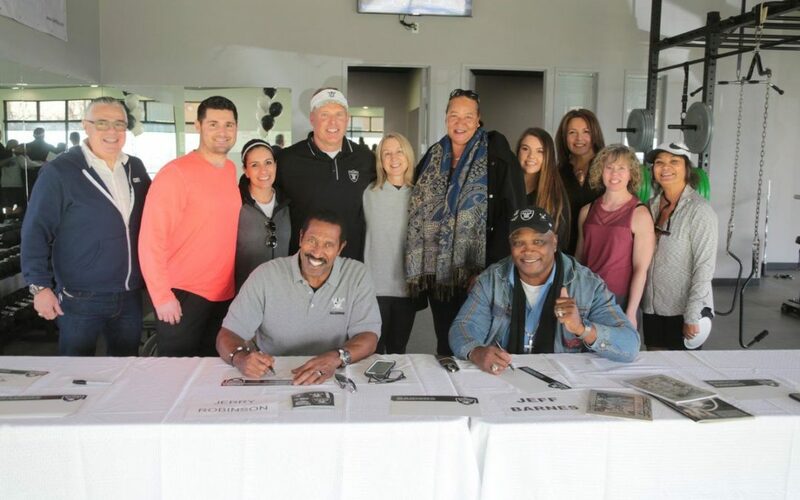 Special guests and former Raiders players Jerry Robinson and Jeff Barnes attended the grand opening in support of their good friend Mueller, as well as did meet and greets and shared stories with attendees. 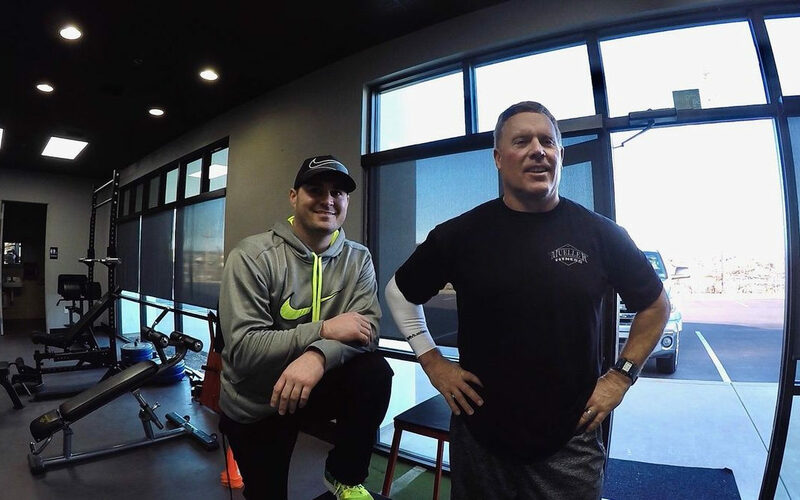 Regularly working with all age demographics and fitness levels, athletic aficionados Mueller and Shanley have dedicated their time to the fitness industry for years; inspiring others to be fit, healthy and live their life to the utmost. 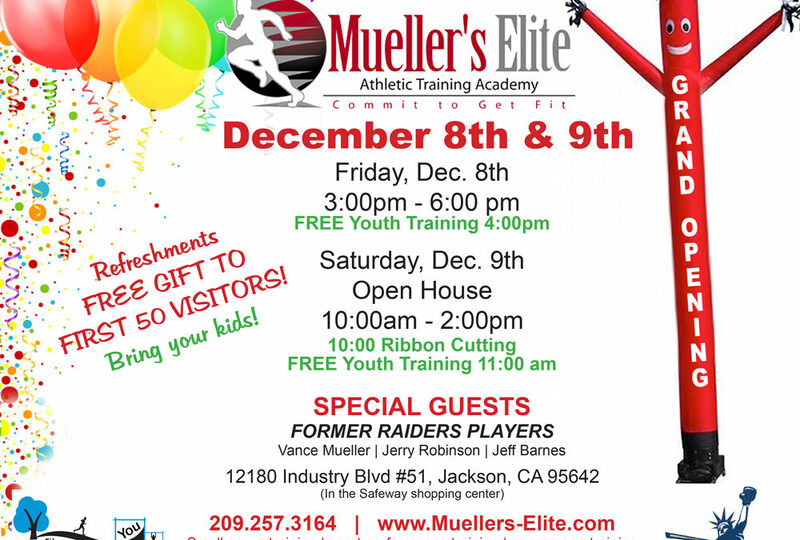 Mueller’s Elite Athletic Training Academy is celebrating its grand opening today and Saturday, December 8 and 9. This new specialized training studio focuses on small group training, sport performance training and one-on-one training, with daily self-guided personal workouts. The grand opening celebration begins today, December 8 at 3 p.m. with doors open to the public. Bring your kids for a free youth workout at 4 p.m. with Mueller’s Elite owner and former Raiders player Vance Mueller and Joe Shanley of Fitness Built for You. 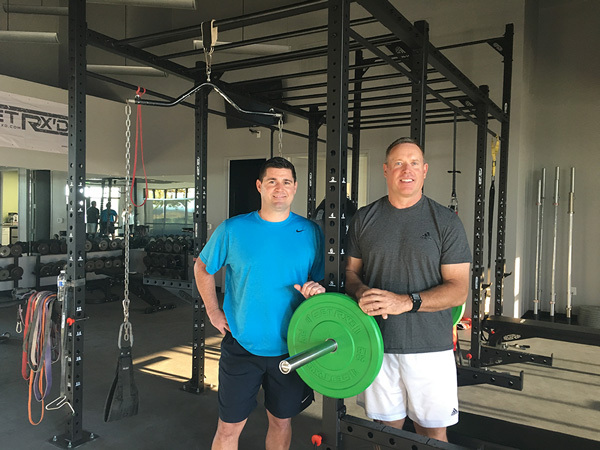 Then on Saturday, December 9 the fun begins with a ribbon cutting ceremony at 10 a.m., followed by free youth training with Mueller and Shanley at 11 a.m.
Vance Mueller, who grew up in Amador County, has opened Mueller’s Elite Athletic Training Academy. This new specialized training studio focuses on small group training, sport performance training, and one-on-one training. The studio is located in the Safeway shopping center in Jackson/Martell. It is equipped with state-of-the-art equipment, including turf for sprints and sled work, a full pull-up bar station, assault bikes, rowers, weights, benches, and custom audio/video technology. It offers a friendly, competitive atmosphere for youth, adults, and families to work out and improve their strength and performance. Mueller’s Elite Athletic Training Academy is celebrating its GRAND OPENING on Friday and Saturday, December 8th and 9th, 2017. This new specialized training studio focuses on small group training, sport performance training,and one-on-one training, with daily self-guided personal workouts. The grand opening celebration begins Friday, December 8th at 3:00 pm with doors open to the public. Bring your kids for a free youth workout at 4:00 pm with Mueller’s Elite owner and former Raiders player Vance Mueller and Joe Shanley of Fitness Built for You. Then on Saturday, December 9th the fun begins with a ribbon cutting ceremony at 10:00 am, followed by free youth training with Mueller and Shanley at 11:00 am. Special guests and former Raiders players Jim Otto, Jerry Robinson and Jeff Barnes, along with our own Vance Mueller will be at the studio on Saturday from 12-2 to meet and share great football stories with visitors.